Sharon joined Beaufort Group as a Senior Operations Specialist in 2018. 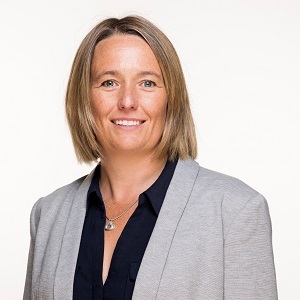 She is involved in most areas of the operational side of the business to ensure a seamless, smooth and a professional service is provided to both our clients and the advisers in our network. Since joining, she has been focused on improving the quality of our services and delivering excellence across the operational processes and specifically the production and quality of the monthly and quarterly investment reports in both print and digital form. Sharon has worked in the Financial Services industry since 1994 in a variety of roles within the Investment and Private Banking sectors. Key roles include working for Tokyo Mitsubishi International in Derivative Settlements and Stock Borrowing and Lending and working for BNP Paribas in their Collateral Management department. In recent years Sharon worked for a local financial adviser and the Pensions Treasury team at Willis Towers Watson. Outside of work Sharon enjoys watching most sports and is a keen runner.